Get yourself equipped in the new free-to-play combat spaceflight sim. We have 7500 keys to give away for premium content in the newly-released open beta for free-to-play space combat flight game Dreadnought. 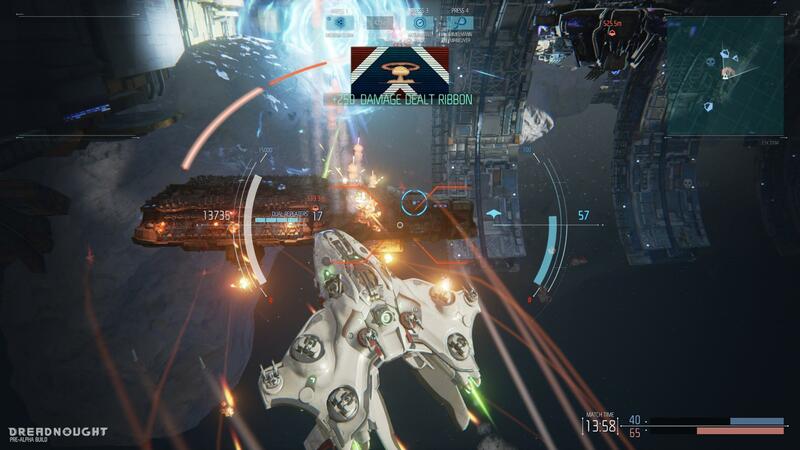 Dreadnought is coming from Yager Development, the same company behind the brilliant Spec Ops: The Line. It’s a class-based shooter that puts you in command of enormous capital ships, putting a focus on tactics as much as on twitch reactions. It seems pretty cool, all told, and the open beta is currently free to grab on the PlayStation Store or on PC. The ‘Morningstar’ hero ship. It’s appropriately a Dreadnought Class ship that comes in two flavors – Tier 2 and Tier 4. Plus, an assortment of cosmetic gear you can use to stand out in battle. In order to get your hands on your key, just use the widget below with your social details and you’ll be gifted a code instantly. Simple! To redeem your key use the instructions found in the widget above to find the redeem area of the Grey Box website. This will link to your game account, and the next time you boot the game your freebies will be waiting for you. Note: Dreadnought is available on PS4 as well as PC, but these keys only work for the PC version. Sorry, console fans! Maybe next time.